Prompt: Teaching and technology: How much do you rely on it? How useful is it? When I taught ESL in Spain, I only had a chalkboard in the classroom at one school, and a chalkboard with a computer/projector at the other. That computer was used sparingly though, for PPT cultural presentations every couple of weeks, or for listening exercises with the book's audio CD. Here at my elementary school in South Korea I rely heavily on TV and computer technology. All classrooms have a TV (hooked up to a computer), and the English textbooks come with CD-ROMs to be used during class. The quality of the textbook CD-ROM materials is debatable, as the chants often feature unnatural rhythm/speech, as do the short video clips. But we also use the televisions for PowerPoint presentations, which can make for some really fun games. That's not to say that we rely solely on technology, though. Lots of times we'll do activities/games using the whiteboards, flashcards (from the book), game boards, or do speaking activities where the kids are up on their feet and walking around the room. I rely on technology the most with my young first and second grade after school daycare classes that I teach alone. There is a Korean teacher in the room, but they're not my co-teacher. Rather, they have a little break to wash dishes from snack time, grade papers, clean the room, or whatever they need to do while keeping an eye on the kids too. When you don't have a common language with your youngsters, visuals and songs are so helpful - which is what I use the TV for. In this situation, the technology is extremely useful. I was shocked at the start, when no one would listen or pay attention to what I was saying, but if someone in a YouTube video was saying/doing the exact same thing as I had done, the kids would look and pay some attention. It was frustrating, but I learned to go with it and used many more videos in class. Don't be fooled by the site's "older" look; there are lots of great materials here. I mostly used it to print a coloring sheet or get activity ideas when I taught some classic children's books or songs ("The Very Hungry Caterpillar", "Five Little Monkeys Jumping on the Bed", "The Itsy Bitsy Spider", etc.). Once we got a color printer at school a few months ago this site became twice as valuable! Normally I would just print the black and white versions for coloring sheets, but now I can print in color and cut out storyboard characters for role plays, or sequencing cards, etc. A related site run by the same people is the Itsy Bitsy Books from kidzone.ws, which has both themed and alphabet itsy bitsy books. These were always fun to make every month or so with my second graders. I started using this with my second grade after school class and they love it! It's meant for native English speakers, to provide a short 2-5 minute break between activities during the school day. Some of the videos are meant to wake kids up, while others are calming. Since it's not specific to ESL, many of the videos aren't the right level for my kids, but there are still many that they enjoy (like "Let it Go" and "Shake Break"). The kids really liked seeing progress over time, and watching their "monster" transform. They chant "Monster! Monster!" when they want to do a song (which happens... every single day at the start of class!). If we were doing "Monster", kids would shout "Let it Go" every time. A handful didn't like the song, and I certainly don't want to hear it every day (and they're not really learning much by singing only three words to the whole song), so early in July I devised a new system for doing our brain breaks. I picked ten videos, some that they knew, and a few we hadn't heard yet, and wrote the names on slips of paper. I made ten slots on a piece of paper, numbered them, and put the song names through the slots. Every student gets to choose a number (of the remaining), and the number with the most votes is the song we sing that day. So now they can't beg me for "Let it Go", because they know they'll do whatever song gets picked. Dream English's videos are so great for kids. Most have actions to keep the students engaged, and the songs will most likely get stuck in your head too! My favorites are the Friday Song and The Sun Comes Up. I used Dream English videos for our Hello Song and Goodbye Song with every daycare class, and watched all videos directly from YouTube. 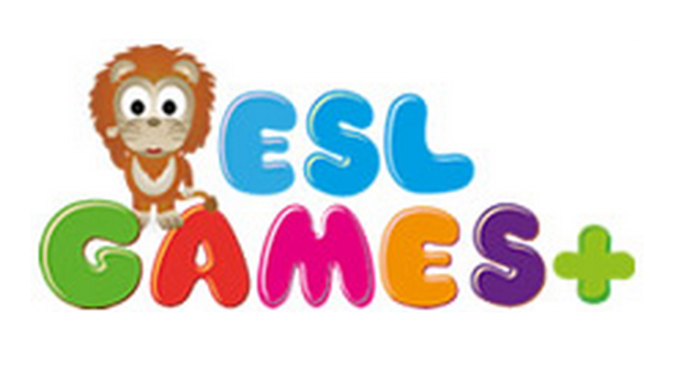 There are lots of great materials on ESL Games+, including memory games, classroom games, printable board games, phonics videos for young learners, hidden pictures PowerPoints, and much more. 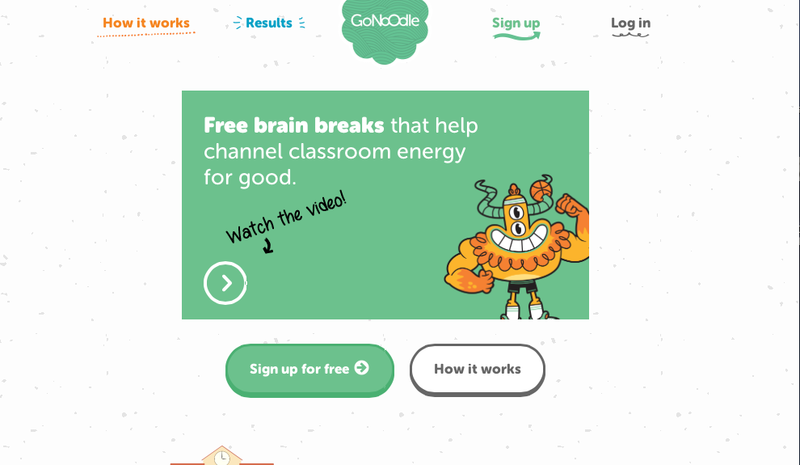 We played a few of the classroom games throughout the year, but what I liked most about this site were the memory games. When you click on a card, it says the word out loud. Therefore, when matching the word to the picture, my young students could still play even though they can't read (since they could listen to the word). Other memory games that I saw online did not say the word out loud when you flip the card, so I really liked the ESL Games+ memory games. I used this site more frequently as a private English teacher in Spain, but this year it was great for printing flashcards once we got the color printer. The website has flashcards, worksheets, phonics, videos, games, curriculum, certificates and projects. I also used MES-English's Speaking First Curriculum when I was faced with the challenge creating and planning the entire curriculum for my daycare classes that met up to four times per week. This simple tool is great for many games. With the younger ones, after they learned "What's your name?" and "My name is ~." on the first day, we used the timer in a circle game. I set the timer for three minutes, and then we passed a ball around the circle, while students took turns asking and answering "What's your name?" each time they passed the ball. Keep track of how many times you get completely around the circle. Record this number and try to beat it next class. 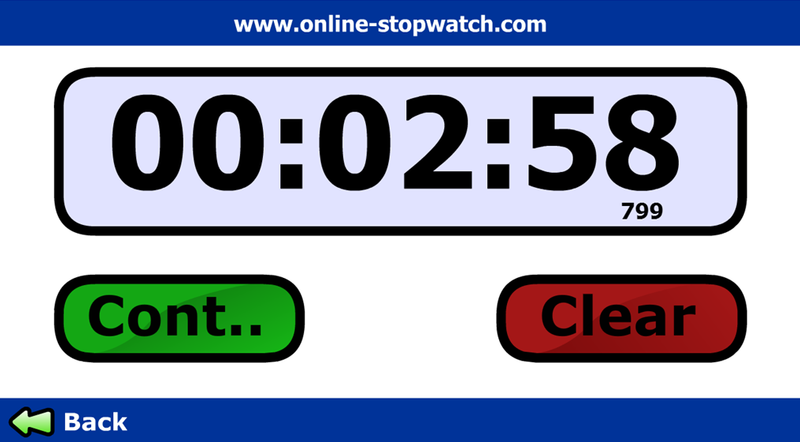 If viewing the remaining time is too distracting (as it was for our fifth graders when we played charades, who would shout loudly and count down in Korean as the time approached zero), just open a new tab in your browser after clicking "Start", and leave that blank tab on the screen. The stopwatch/timer tab will continue to count down, and you'll hear the alarm when the time is up. There are multiple timers to choose from, and I always use the "full screen" option to make the timer big. 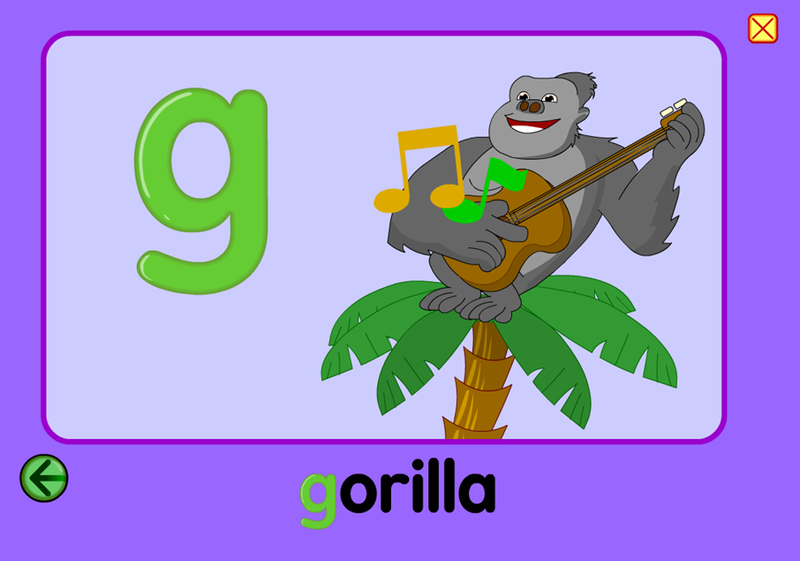 I used Starfall Phonics for ABCs, though the site has more to offer for young learners/readers. In the fall whenever we started a new letter, we would always watch the Starfall Phonics animation/video for that particular letter first. It kept the kids' attention, and introduced them to some new words and sounds. This spring, I added Storybots letter videos (from YouTube) to the mix. If you're teaching in Korea, chances are you already know about this site. "Waygook" is what the word "foreigner" sounds like in Korean, and this forum-type site is filled with resources and teaching materials. I'm sure you could find useful materials even if you're not in Korea (such as those amazing PowerPoint games I mentioned earlier), but also has lesson materials specific to the textbooks used in Korean schools. It wasn't until later in the year that I realized this forum had much more than just teaching materials. If you're living in Korea, there are whole forums about life in Korea, from where to go to the doctor to how to do your taxes. Search through the history to find what you're looking for. If you don't see it, become a member and ask the question yourself. Dream English - I already wrote about this channel; the videos are gold! Storybots - Has a 1-2 minute song for each letter of the alphabet. They're enjoyable, catchy tunes. Pancake Manor - I discovered this one later in the year, but the tunes are more modern and I really like their videos. Shake Break - This is a quick song from Pancake Manor that my crazy second graders loved to shake with! Here's an awesome trick if you want a song to play over and over, which I often did while the kids were coloring. From YouTube, go to the URL and type the word "repeat" directly after the word "youtube". Then hit enter. When you press enter, the website leaves YouTube and becomes "Listen on Repeat", and your video will do just that. There's also a neat feature that lets you change the start and stop time. So for example, if there's an annoying ad/introduction during the first ten seconds, you can set the video to always start at :10. Wonderful! So here in Korea, we use technology every day. It's not the most advanced, just a TV screen and computer, but it's technology. Luckily I mix other non-technology activities in with both my regular 3rd-6th grade classes and after school 1st/2nd grade daycare classes. I know the younger ones like to use their hands, so we've made shapes with pipe cleaners, constructed letters of the alphabet with their bodies, cut out magazine letters to find the alphabet, etc. The other simple games and activities I've learned throughout the year have provided me many fallbacks, which all technology-relying teachers should have. It was especially helpful when I showed up to my new 1st/2nd class at the end of June, only to discover the new classroom didn't have a TV! I had to throw my whole lesson out the window and quickly improvise the next 40 minutes. It wasn't pretty, but at least I knew some easy games I could try with this new batch of kids and the squishy ball I'd brought with me. Technology is undoubtedly useful in the ESL classroom, though a nice mix of both is ideal for elementary students. What do you think? Join the conversation! How much technology is used in your classroom? Is it useful? Thanks for including some of my games on here. I made the Mario Wheel Game and the Fox one from Waygook. You bet! Thank you for making them! Shoot me an email if you want your name/site listed up with the games, and I'll get it up there asap!